The LBD everyone needs one in their wardrobe - have you got yours? 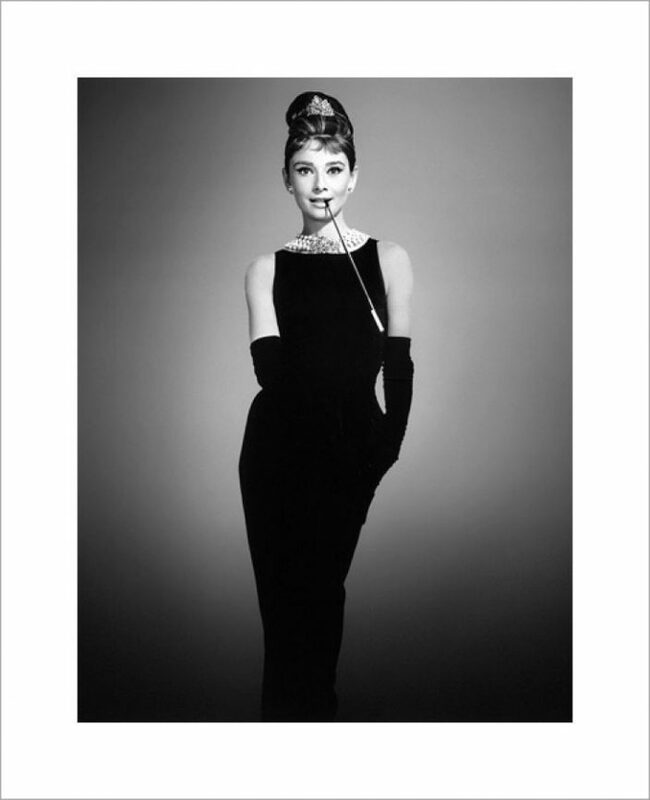 “It was a warm evening, nearly summer, and she wore a slim cool black dress, black sandals, a pearl choker.” Truman Capote Breakfast at Tiffany’s. Chanel created her first little black dress in 1926 just a few years after she told Harper’s Bazaar “Simplicuty is the keynote of all true elegance“. The Little Black dress was more than just a design to Chanel, it was part of a larger idea that modesty was the chicest way of proclaiming superiority. Having spent time in a boarding school amongst pupils from much wealthier back grounds than her she witnessed from an early age the great distinction between those that had money and social position and those that didn’t and clothes formed the uniform of both these classes and distinctions. In her era, women who wished to live a privileged life would go on to ‘marry well’ or would work hard to gain their own wealth with the ‘kept’ mistresses of wealthy men dressed in elaborate fashions, again like a uniform or badge of honour. Black has many connotations and can trigger powerful reactions from provocative, the dark arts through to a more pure observation of a nun’s habit and the use of mourning dress. The observance of mourning dress reached its peak during Queen Victoria’s reign where as well as showing respect, wearing all black reflected a family’s wealth and social position and Queen Victoria, as a widow, wore black for 40 years until her death, in homeage to her beloved husband. The LBD has proven everyone wrong over time and has remained a fashion staple decade after decade. Yes the silhouette and the fabric of the dress has changed to suit the style of the times however it continually proves that it can be reinvented and remains a favourite, the thing about any little black dress that remains the same is the fact they share the same timeless quality. There have been many style icons who have shown the versatility of the little black dress alongside the impact one can have, the likes of Elizabeth Hurley, Hilary Clinton and Princess Diana have had their fashion moments in a LBD and I bet you can all remember them! People wear black for many reasons from fashion statement, for its slimming affects, to contrast with blonde or just because its easy and it looks cool. It is a seasonless, all year round colour staple in many wardrobes and, as the Audrey Hepburn quote above eludes too, there is nothing chicer than a black dress in the summer. The black dress is a perfect interview outfit, everyday piece or party piece, the good old faithful have you got yours?